or, "Me and my shadow hit the trail.........."
"Everyone casts a shadow, and the less it is embodied in the individuals conscious life, the blacker and denser it is. At all counts, it forms an unconscious snag, thwarting our most well-meant intentions." My therapist, Dr. Jeaneen Vogal, is facilitating a Jungian group this coming month, with it's central focus being Shadow work. One of the things she said to me this morning is that, by middle age and beyond, Shadow becomes persistent in it's demand for attention. What was in youth a "Freudian slip" is now a sledgehammer attempting to break through the concrete layers of your calcifying self. Why? Because as we age, perhaps the soul's need to integrate personae, for the psyche to mature into wholeness......."shadow work" becomes imperative. Jeaneen is 85; I feel very privileged indeed that she has chosen to counsel me. 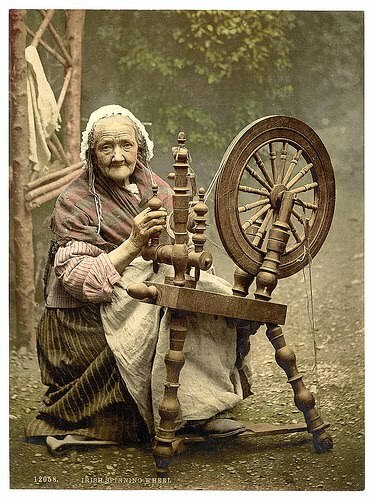 As sh e also said this morning, aging isn't for sissies, and you can either get acquainted with your shadows and change, or look forward to a miserable, unenlightened (or un-endarkened) old age. I'm beginning to see what she means. 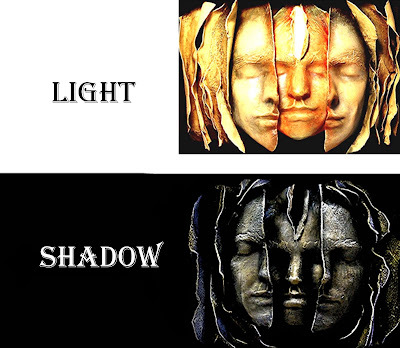 To Dr. Jung, the Shadow represented the dark (un-illuminated), rejected parts of the psyche. As a mask artist, I've sometimes envisioned "shadow selves" as personae that disrupt the show my ego persona likes to think it's putting on. They are the selves that are disowned, unloved, shameful, inadequate, obtuse. As such, they also are also depositories for reservoirs of huge energy, clamoring for attention. Shadow can also be positive qualities that are repressed because of societal pressure. It's a potent workshop to make masks of Shadows, and put them on, seeing what they have to say. "The psychological rule says that when an inner situation is not made conscious, it happens outside as fate. That is to say, when the individual remains undivided and does not become conscious of his inner opposite, the world must perforce act out the conflict and be torn into opposing halves. .....we cannot learn about ourselves if we do not learn about our Shadow: so, we are going to attract it through the mirrors of other people." I never intended this blog to be "Lauren's therapy page", but Spider Woman's path to wisdom is not always bright. The weaving is sometimes about re-weaving, patiently trying to untangle skeins and threads in order to make a new fabric. I don't dream very much, so when I do have a memorable dream, I figure it's my unconscious doing the equivalent of throwing a brick at me. The dream below occurred around the new year, and I've been contemplating it ever since. While this blog is also not a "dream journal", I feel it's worth meditating on, because it's a classic "shadow" dream. In my New Year dream, I was in my car confronting a descending road high on a mountain. I stopped with trepidation; finally I drove almost vertically down that very steep road, to find myself on a cliff with a magnificent view of the ocean far below. It was obvious there would be no going back up that impossible road, so I parked my car. There was a woman there, and she let me know that in order to proceed (and there was really no other alternative) we had to go down yet another intimidating chute or narrow tunnel. The woman went before me, which was reassuring. At last, down the rabbit hole or chute I went, to find myself standing again with a view of the ocean, and a narrow trail now ahead of me. I watched the woman again go before me. But I lingered, fussing about my backpack (did I bring everything? Where did my purse go? Did I have food, a sweater?). Somehow, from having a car and purse, I had been reduced to a small backpack. There seemed to b e familiar but annoying voices jabbering at me as I fiddled with it. And they kept calling me "Shane". I realized "I" was no longer Lauren, but had become a man named Shane. Finally, tired of the inertia, I stopped fussing, put the small pack on my back , found I had a walking stick in my hand, and set my feet on the first step toward the path ahead. Then I woke up. 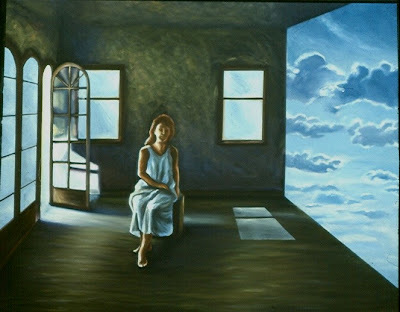 Dreams, of course, are multidimensional in their meanings. To keep descending into the underground is archetypal. The woman going ahead of me can be previous selves. Exchanging my car and personal assets....on this trip, one has no choice but to travel light, and there is no surety that what one needs for comfort will be available. That the "I" of the dreamer ceased to be Lauren and became a man called "Shane" was the mysterious aspect of this dream. I looked up the name and was delighted to learn it was an Irish rendering of John, meaning, "God is Gracious", or simply, "Grace" . I assumed it meant that as I processed on the path unknown, I would be given grace. Which is true. But as dreams are multi-dimensional, there was another side it took me a while to examine. Shadows, after all, don't reveal themselves easily. Because of my abusive father, I have never really felt at ease with the masculine. I think for many women who've grown up with tyrannical fathers it's so. 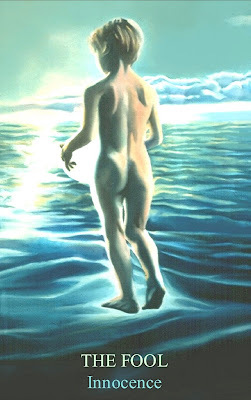 The "Shane" I have become in the dream could be my "animus", the male self I need to be as I proceed down this new trail. "Masculine" can mean many things. If the woman I used to be when I took former "leaps of faith" valued being receptive, psychic, instinctual and intuitive, perhaps the "male" self means being, now, also discerning, analytical, assertive, and, most importantly, self-protective. After a while, I also began to allow that the only "Shane" I know is someone I intensely dislike. An opportunistic young egotist who has profited greatly by taking credit for my ideas and work, which I imagine he does with any generous or talented person he encounters. None the less, my aversion is out of all proportion. When one encounters something like that, it's sure to be a shadow lurking in the recess. It took me longer to realize that "Shane" represents all the people I've "given myself away" to.......because I never thought I was worth much, or because my mother, trapped in a harsh marriage, taught us to be "selfless" without an appropriate instinct for self-preservation. I complain about the exploitative "Shanes" in my life, and yet I have reached the point of (uncomfortable) self-awareness where I can no longer render over responsibililty and personal power in order to see myself as an "innocent victim" - what I complain about I create. When you actually see that phenomenon in process, it can really piss you off. The path ahead now requires simplifying to what is necessary and no more, and bringing to awareness, indeed recognizing that I am, my "shadow self". I can no longer get away with projecting it outside of me. I don't know where the trail ahead goes......but, on top of that mountain with the ocean far below, the view it affords is magnificent. All of which, ultimately, is Grace. "Most of us encounter our own shadows in the form of projection. That is to say, we disown the characteristics and behaviors we cannot stand about ourselves and project them onto others. We then insist that they carry our shadow for us and may even punish them for the things we hate about ourselves. One example of this might be a minister who openly despises gays while privately engaging in closeted homosexual activity. Those who can not accept their shadow will reject it in favor of embracing their Persona. The persona is the idealized image we present of who we really are. And still ... The Shadow Knows when we are lying to ourselves and those around us. The shadow contains our every fear, our every terror, it knows our every truth -- especially the ones we can't stand to face about ourselves." Recently I revisited a novel I wrote with my former partner, Duncan Eagleson, back in 1993. It's still published by Infinity Press, and probably badly in need of revision. It was the only novel I ever wrote, and it was so much fun, I remember, to see the characters come to life, develop personalities, each day as I sat down at a typewriter. The story was inspired by Riane Eisler's paradigm shifting, seminal book, THE CHALICE AND THE BLADE, (1989), and archeologist Marija Gimbuta's work on old Europe. 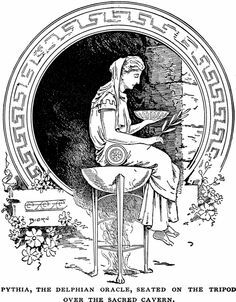 The novel was about a woman who became the "Oracle of Delphi", and envisioned a world that embraced "Gaianism". A time of respect for the Earth being alive, communicative, and utterly interdependant. Below is the closing of the novel. As the trail winding up Spirit Mountain grew steeper, Susan was a little out of breath. She could see the summit ahead, the rounded, granite bones of a once massive mountain range, a sight common to this part of New England. Rounded boulders loomed on either side of her, painted whimsically with colorful abstractions of lichen and moss. Susan remembered when she lived in Colorado, the rock climbing she did when she was younger. The mountains of southern New Hampshire were among the oldest ranges in the U.S., great-grandmother mountains softened, folded and smoothed by a long, long life. These were not the Rockies, and she knew she was out of shape. It was late September, a brilliant fall blessed by the right amount of rain and sun. The sugar maples were almost psychedelic in their glory of reds, yellows and oranges. The sun was bright, tender and poignant with a frailty felt only during Indian Summer; the last and perhaps sweetest days of summer. Such days were the grand finale to that great burst of fertile creation that began in the Spring. To her, it seemed as if all the land, and all the devas of the plant kingdom, were giving their final concert, their master chorale. Soon the first frost would come, and Susan would walk with her morning coffee into a garden fallen overnight, melting away like a dream, ready to sleep beneath the immanent blanket of snow. Below her came a procession of people, making their way up the trail between rock outcroppings. Some carried baskets of food, bread, and torches, candles; all carried flashlights and blankets. It was the evening of the Fall Equinox, a special Fall Equinox, because it was also to be a full moon. She felt the pulse of the land beneath her feet, heat, a coursing of energies like a heartbeat, humming through her. The drummers would syncronize with that heartbeat after the sun went down; she knew they were already attuning themselves even as they walked. She took her shoes off. “Breathe, just breathe”. With each inhale, Susan let the sense of Gaia come into her. 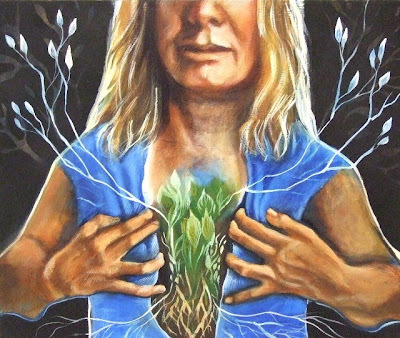 She never knew what else to call it; “earth energies”, “Creator”, “Source”; to her it was Gaia, and she visualized roots that grew from her feet, roots that went down deep into the Earth, connecting her with the web of life. It wasn’t even that abstract, really. It was just what it felt like - as if she became bigger.Her breathing became rhythmic, releasing the small concerns of her personal life, the tensions and conflicts of the day, breathing in a pulse that rose through her now bare feet.. “Hello, hello” she said out loud. “Here we are.” In answer, currents flowed up her legs, into her hands. Susan paused, leaned against a granite boulder, slightly dizzy.....“not so fast...” Closing her eyes for a moment, she felt Martin’s hand on her back. He was feeling it as well. She almost heard his “Are you all right?”, but he hadn’t spoken. The warmth of his presence steadied her. A little further up the trailhead was an arbor woven of branches and grapevines. Tanya and James stood on either side of it, ready with the sage smudge sticks they used as each person entered the place where the ceremony would be held. A raucous crow flew suddenly across the path, to land in a nearby tree. It squawked at them as if to say “well, hurry up!” and flew off. Martin broke his trance to laugh; they had, as far as he was concerned, been welcomed. The top of Spirit Mountain was flat granite shelf. It was a splendid view; to the east the spire of an old church rose from an ocean of trees, and the Connecticut River was visible, winding like a snake through the landscape. Before her, ten boulders formed an imperfect circle. Perhaps they had once been more regular, but erosion or earthquake had, over time, worked them out of alignment. At the circle’s center stood a whitish boulder, shot with veins of quartz; crystalline intrusions flashed here and there on it’s surface as it reflected the setting sun. Susan wondered, as always, how the long ago people who once came here had managed to move rocks weighing several tons into these placements. The ancient people who made this stone circle millennia ago were a mystery. There was evidence that Phoenician or Celtic colonists had once settled along the Connecticut river, fishing, sailing, and marking places that were sacred to them with standing stones and cairns very similar to prehistoric sites in Ireland and Europe. Perhaps this was Tiranog, the “blessed land to the West” of ancient Irish legend. The controversy surrounding these structures and “calendar sites” had never been settled. The vanished people who so laboriously moved enormous and carefully selected stones to mark this place could also have been native Americans long lost to history. It really didn’t matter to Susan. What these mysterious places did share in common was geomantic intensity. A divining rod held over the quartz boulder at this circle’s center frenetically turned like the blades of a helicopter. To a geologist, they were places of geomagnetic force. But it took no scientific knowledge to experience the presence of this place. At last, just like the ancients who once came here, people were beginning to realize that these were places of communion. One did not build condos on them. In the deepening twilight, people passed through the woven entranceway, seating themselves around the circle. Some brought blankets to wrap themselves in, and some of the older folks had folding chairs. Beneath the white quartz stone were offerings of food, wine and written prayers to the ancestors of this place, as well as a basket of seed as offerings to the animals and nature spirits who lived here. And a few small personal shrines had been set up in an inner circle. Susan saw her friend Margo’s little Goddess statue resting on a red silk cloth. Nearby was a brass statue of the Buddha, a photo of the late Dalai Lama placed at his feet. 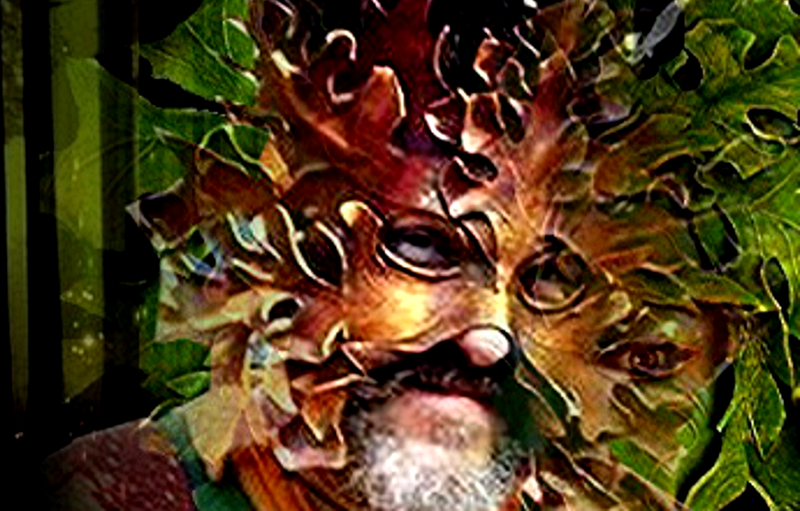 From a crevice in the stone hung a laughing Greenman mask . Candles in colored votive holders flickered like a shimmering rainbow around the base of the stone. Four drummers were already synchronized into a heartbeat rhythm. They were attuned to each other and the qualities of the element each drummer was inviting to be present, air, fire, water and earth. Their rhythms flowed into the azure twilight as Martin sat down to join them, his dumbek between his knees. Susan walked around the circle, bowed to the center, and then picked up a pack of matches on the ground to light citronella torches mounted around the periphery. Tonight they would offer thanks for the food grown and harvested throughout the summer; not just for them, but for all those who eat. They would chant and pray and dance their gratitude for being fed by the Earth and all the beings upon Her, and, in a ritual of reciprocity, they would offer their prayers, music, gratitude and love back, sending it down into the Earth to sustain and nurture the One who sustained and nurtured them. Susan was one of those tonight who would become a kind of filament for the ritual. In the course of the ceremony, she would open herself to communion with the spirit of place,and what visions she received she would share. Later in the evening there would be pumpkin bread, cheese, fruit, bottles of wine and mead. The drummers would continue to drum until the sun rose, letting rhythms flow through them in constantly changing waves, moving beyond exhaustion. Before closing her eyes to chant, Susan looked around the circle. South of her, at the Temanos center, her friend Jewell would be facilitating a gathering. She visualized Jewell’s strong, lined face, her famous blue rattle in her hand, and a momentary flash of love, support flooded her; she knew Jewell was aware of her, and very busy. Toll free (877) Buy Book........ $9.95 plus shipping. Sometime in the 1980's, someone gave me a collection of Rilke translated by Robert Bly, and I find he is still my favorite translator of the German mystical poet. In graduate school I did a performance with synthesizer based on this beautiful poem, and a series I called "Landscapes from Rilke". Yesterday the poem popped into my head. I had been thinking, while driving around on seemingly endless errands, that I have become too resigned, I have perhaps traded too much "mature realism" for the spiritual quest that used to animate my art and life. Although it was broad daylight, I noticed, as I parked, that the interior light above the dashboard was on. I'm pretty certain I didn't turn it on, especially since it was day, but it's always possible. I prefer to think of it as a little tweak from my guides or angels, trying to get my attention by demonstrating a "light bulb going on". Rilke's poem is about the call that can come to seek a deeper life, to find the empowerment that comes from that source, to become a "source - er". Not all people are called. For some of those who do hear the sound of distant bells, the "church that lies somewhere in the east" may be a monastery, for others, a studio, or an orphanage, or a university, or a trail that leads into the silent cathedral of a canyon or a forest. Sometimes the seemingly unmarked trail to that church can feel like madness, or great loss. What I love about this poem is the multiplicity of profound connectivity Rilke implies. The man who "keeps on walking" is one who heeds the call of that spiritual quest because he feels he no longer has any other choice. He realizes that nothing else will matter if he remains. He abandons his children, but not himself. In conventional morality, he is to be despised for his abandonment of those who depend upon him. Yet, such is the beginning of Siddartha's quest to become the Buddha, leaving behind his responsibilites as a prince, father and husband. The one who remains "in the dishes and the glasses", who does not leave, is neither right or wrong. He has chosen to remain, to find meaning in the love and duties of family and social responsibility. But his choice to not take the spiritual journey to that "church somewhere in the east" at some point in his life, to entirely forget, to close the door, leaves a residue that ghosts within the house of his life. His children are left with with a destiny to fulfill what he did not. **On a note less grand, I found myself remembering a story on one of the cd's by Celestial Navigations ** called "Get That Out of the Way". The narrator moves through his life like an inventory of tasks he has to get through. When he finds himself finally worrying that dying may be kind of painful, and if there is an easy way to "get that out of the way".................he pauses at last to wonder if he's, maybe, been missing something. Moral of this aside: if you find your life has become a laundry list, by all means, stand up and walk outside, throw away the planner, and keep going until you've regained your sanity. Or lost it, and good riddance. 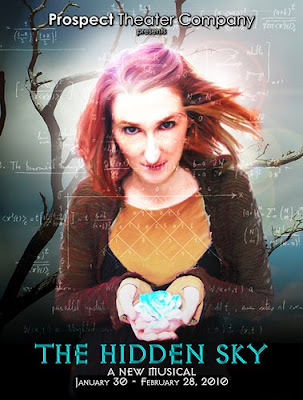 that passes through my head"
I just had to share this beautiful video from "The Hidden Sky". 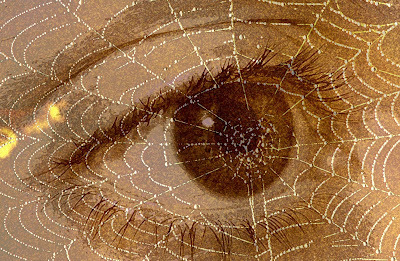 Threads spiral into the universal mystery as Spider Woman Ursula K. Leguin's story "The Masters" is spun and re-woven into theatre in 2010. Science and religion collide in this sophisticated and mythic new musical. At the center of the conflict is Ganil, a young woman whose passionate longing for knowledge leads her on a dangerous journey in pursuit of lost and forbidden truths. With an eclectic score featuring lush choral singing, this compelling tale of spiritual awakening illuminates the complex dialogue between faith and reason. "My God, it's full of stars........"
I’ve learned to watch my feet. a truck stop off I-40. and faithful Sirius, the Dog Star. in Indra’s shining jewel net. it's like the dreaming gets used in the writing." I think this is going to be a wandering/wondering post, because what I'm trying to approach with my capture net of words is the magical butterfly, a black one at that, a creature that clearly exists on such an elusive multitude of dimensions and metaphors........that it's impossible to consider her mysterious flight without a "holographic" approach. Butterfly is a creature that flies right into the Dreamtime as she so chooses. So, I'll begin by slipping, momentarily and gratefully, back into mythic time and mythic place, the life-renewing, fluid land of the Fey, the imaginal** (!!! ).......for any hour I can spare. I recently had energy work with a healer. With eyes closed, lying on a table, she did something similar to Reiki, running energy, helping me to connect with different areas of the "subtle body" that are blocked. Within this holistic approach, mind is viewed as being not only in the cranium. We perceive through at least 7 or more different "brains" - energy centers, symbolized by the Chakras, which represent different ways of receiving, experiencing, perceiving, responding to, and expressing consciousness. 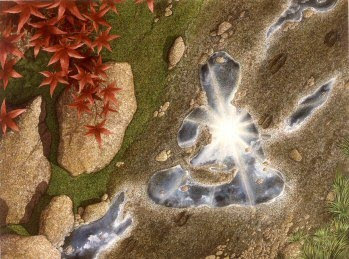 For example, the Base Chakra, identified with the color Red, is about physicality, the interface with nature and the planet; the Heart Chakra, Green, is associated with the ability to love and experience com-passion; the "Third Eye" Chakra, violet, is associated with psychic perception and visioning. In energy medicine, practitioners help patients achieve integration between the chakras, the different "brains". Much of the work is surprisingly psychological, and is often concerned with helping clients to identify emotional "blockages", accessing, while in an altered state, old traumas, environmental issues, or erroneous belief systems that have caused an individual to close the heart or the doors of perception. I had a vivid vision throughout this energy work of butterfly wings (not butterflies, just wings)...........folding, unfolding, before my closed eyes. I cannot help but feel that this was a kind of Grace, the wings offered were, perhaps, mine. The butterfly has much significance to me, as personal archetype, and a sometimes visitor from the angelic realms, fulfilling the angelic role of messenger. Of course, I'm not alone in this. 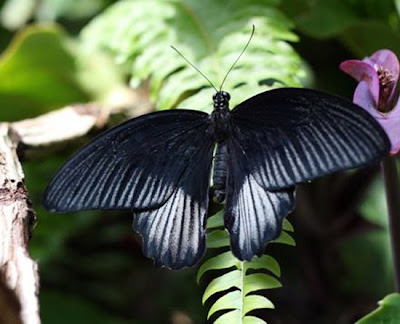 I've spoken with many people over the years who have had mystical Butterfly stories, among them my friend Fahrusha (her name, in Arabic, actually means Butterfly), who recounts an amazing synchronicity with a black butterfly in her blog. Out of curiousity, I looked up "Black Butterfly" on Amazon.com recently, and was stunned to find there were 27 books with that title. I think a black butterfly is about the transformation that happens when the Shadow, in Jungian terms, is also given wings, transmuted. 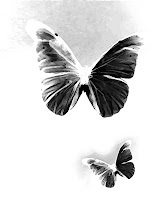 I have met many people who have told me about butterflies appearing in connection with the loss of a loved one, or at times of personal despair. I list below a site that is devoted exclusively to "miraculous butterfly experiences". **To me, and I'm no psyche-ologist .....but to me, butterflies wonderfully participate in the interface between dream and waking life, flickering on the wings of synchronicity with their multi-dimensional messages, disappearing into the field of dreams just as mysteriously. A "Butterfly Experience" can be utterly intimate in the meanings they bear, and equally, universal and impersonal. For me, dealing as I have been for years now with therapy, and caretaking my mother and brother.........there is great personal meaning in my vision, meaning that has to do with karma, long patterns of family dysfunction, the work of emotional and psychic transformation. Perhaps the most dramatic "butterfly experience" I had occured 10 years ago. Since this experience had to do with both dream and synchronicity, I don't know if I can tell it very cohesively, but I'll try. It began with a disturbing dream. I dreamed I was on a ship, and on the deck many people sat in deck chairs, all of them playing with masks, taking them on and off. I seemed, in the dream, to be two people at once. I knew that there was, down in the lower decks of the boat, a demon. One of the women that I was was a kind of priestess or missionary - she was about to descend into the depths of the boat, where the demon below would torture and kill her. She thought that if she did so, offering herself as sacrificial victim, she could save the people above. The other "me" was a cynical observer who thought she was a ridiculous martyr, and knew everyone, especially her, was doomed. I woke up as the "martyr self" began her descent. Without going into the many circumstantial and psychological meanings of this important dream, I'll skip ahead in real time. About 6 months after having this dream, I actually found myself, with a lot of actors, and a few masks, on an old decommissioned ocean liner (the "art ship"), which was anchored in the industrial harbor of Oakland. I was acting in a movie, and the writer and director of the film, Antero Alli, had decided to do his filming in the very bottom of this 5 level boat; the old, cold, dark, dank, cargo bay. Descending into the bottom of the boat brought my dream back vividly, and every superstitious notion of prophetic dreams I ever had came right to the fore. I didn't like it there! Between shoots, the cast hung out in what must have once been the crew's cafeteria - located in a middle deck, it had round portholes, all of which were closed because it was a cold day in March. As we waited, the Director offered everyone a card from his own fascinating deck of oracular cards (with his artist wife, Sylvie Alli), and there was lively interest as each person contemplated his or her card. I took a card from Antero with trepidation, and sure enough, damn if it wasn't the "DEATH" card. Not five minutes later, as I stood with the card of doom in hand, a small orange butterfly landed on my shoulder. There was absolutely no explanation for how that butterfly could have gotten into that closed room. I had lots of witnesses - and after the miracle revealed itself, several of them helped to catch the butterfly and get it upstairs where it could be released. As a kind of synchronistic post-script, in 2005 I was back in the Bay Area for a two-person show (with Rye Hudak) at Turn of the Century Gallery, in Berkeley. I was surprised that, of all the works in the show, the gallery owner chose to put on the card announcing the show the one above, "The Butterfly Woman". When I came to hang the show, I went to nearby Cafe Trieste for a cup of coffee. Two stacks of cards were on the table there, side by side. ***"The caterpillar spins or weaves the cocoon, and in that cocoon, what the caterpillar is creating is his own tomb. We don’t know if he knows that or not. And he crawls into it, and his body liquefies. Complete disintegration of caterpillar. But in that caterpillar soup are these cells that have been in the caterpillar’s body all along, called imaginal cells. Isn’t that a fabulous word? Imaginal cells. It’s called imaginal by botanists because the adult form of that creature, the butterfly, is called imago. So these are imaginal cells, but to me those cells are ‘imagining’ flight. And these imaginal cells know how to take the soup and reconfigure that into a butterfly, an adult. I believe nature has designed us humans to go through a similar experience." from "Imagine your Imago - Liberating the Imaginal Cells of the Human Psyche"
In the course of writing an article about butterflies and the imaginal (which I haven't yet finished) I ran across the writings of Bill Plotkin, and then discovered the Animas Valley Institute. I was so inspired I wanted to share my discovery. Dr. Plotkin is a colleague of David Abram, whose Wild Ethics I wrote about last spring. Here is also one who "speaks with the Earth", and knows how to teach others to listen. As I've shown with my enthusiasm for the film AVATAR **, I deeply feel that people like Bill Plotkin, David Abram, Starhawk, Joanna Macy, Jesse Wolf Hardin with Kiva and Loba, and many others, are quietly addressing the most important, far reaching, and revolutionary question of our time - how can we live in harmony and spiritual communion with the planetary Self. As Dr. Plotkin points out, we are in our adolescence, and must mature as culture, soon, if we are going to meet the evolutionary challenge of our time, or de-evolve and fail, taking with us the demise of so many species, so much potential, so much that is beautiful and precious. I've taken the liberty of copying below from the Animas website. The primary goal and method of all Animas programs is the encounter with soul. Founded in 1980 by wilderness guide and depth psychologist Bill Plotkin, the Institute is one of North America's longest-standing organizations offering contemporary wilderness rites. "Animas" is plural for "souls" in Spanish. In Jungian psychology, the Anima is the Inner Woman in a man; the Animus, the Inner Man in a woman. The Anima and Animus refer to the mysterious energies within our psyches that guide us on the journey of descent to soul. Animas Valley Institute is located in southwest Colorado in the valley of El Rio de las Animas Perdidas — The River of Lost Souls. Animas programs differ significantly from those offered by most other wilderness organizations, vision-fast guides, and experiential educators. Our work is not primarily rites of passage, wilderness-based psychotherapy, or emotional healing. Our focus, rather, is nature-based initiation, whose central goal is the descent to soul for the purpose of maturing the ego so that it becomes a vessel for a person’s deepest, world-transforming gifts. Our programs are not designed to solve everyday personal problems or to help people better adjust to — or be happier in — the surface world of contemporary Western culture. Instead, our intent is a foundational shift that elicits each person’s most creative, soul-rooted response to our precious, critical moment in history. "The heroes of all time have gone before us. The labyrinth is thoroughly known. We have only to follow the thread of the hero path, and where we had thought to find an abomination, we shall find a god. And where we had thought to slay another, we shall slay ourselves. Where we had thought to travel outward, we will come to the center of our own existence. And where we had thought to be alone, we will be with all the world." Our mission, in its widest scope, is to contribute to cultural transformation by fostering nature-based personal development and thus the maturation of individuals and the human species. We support each participant to access and embody the world-changing and vital creativity at his or her core. Humanity has arrived at a pivotal moment in Earth’s evolutionary process. The early decades of the twenty-first century offer us the opportunity and imperative for what deep ecologist Joanna Macy calls the Great Turning — the transformation from a life-destroying human presence (the Industrial-Growth Society) to a life-enhancing presence, a way of life worthy of our unique human potential — and the planet’s natural unfolding. 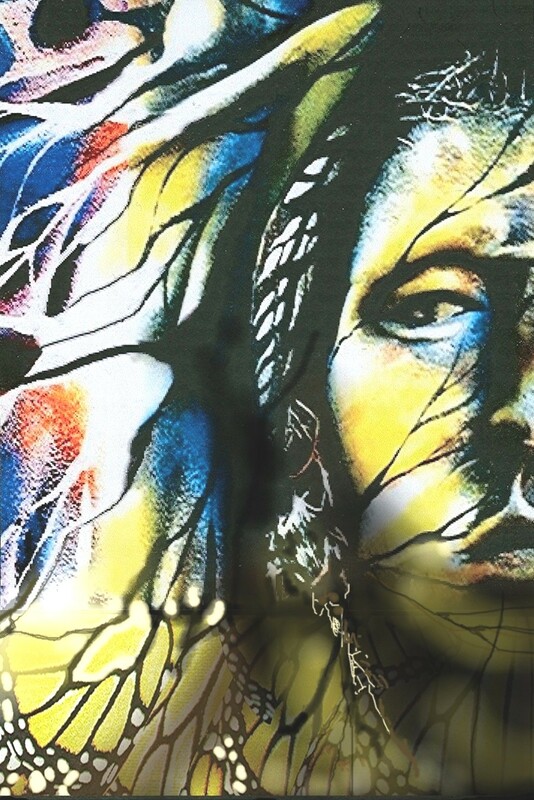 Writer and guide Geneen Marie Haugen reminds us that, as far as we know, we humans are the only Earth creatures with the ability to imagine never-before-seen futures and make them real. In this precarious moment in history, we are being called to make real a global network of just, ecocentric, and sustainable societies — the human element in a true Earth community. It is every person’s obligation and privilege to contribute to this metamorphosis. Cultural historian and geologian Thomas Berry referred to this vital endeavor as the Great Work of our time. Animas’ objective is to contribute to this Great Work by helping individuals re-align their lives with the rhythms and cycles of nature, with the unfolding stories of Earth and cosmos, and with their own visionary potential — their artistry as innovators of cultural change. The most potent seeds of cultural renaissance come from the uniquely creative ventures of authentic adults, those who have consciously discovered and committed to the one true life they can call their own, a life that emerges from the largest conversation one is capable of having with the world. All such adults are, by definition, true artists, visionaries, and leaders, whether they live and work quietly in small arenas or very publicly on grand stages. As Thomas Berry wrote, “We must invent, or reinvent, a sustainable human culture by a descent into our pre-rational, our instinctive resources.” Such a descent is the purpose of the underworld journey to soul undertaken by those who have moved beyond the self-involved early adolescence in which our society has stalled. The most creative, inspiring deeds in the world today are being performed by visionaries who have made that descent and have returned with their unique contribution to the Great Turning. Animas is helping to engender innovative cultural forms that enable every person to mature in this way. Animas’ central purpose is to assist people through the initiatory process that leads to visionary leadership and cultural artistry. Our primary work is with those ready to undergo the joys and challenges of the underworld descent to soul, which flowers into a life of meaningful service and abundant fulfillment — or a deepening for those already on the journey. Animas is a nonprofit organization of over 20 guides, many volunteers, and four part-time staff with offices in Durango, Colorado, USA. Since 2008, we have structured ourselves as a non-hierarchical, team-led, service organization, with no directors or executives. Other than our four staff, all team members are volunteers. All team members, whether staff or not, are responsible for their own service — and not for the service of anyone else. 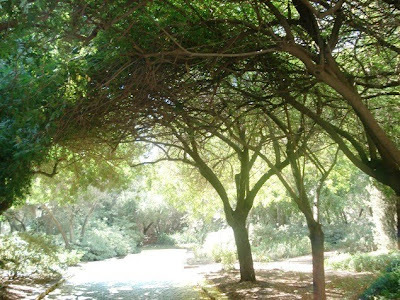 Our 30-plus annual programs include 12-day contemporary vision fasts, five-day retreat-center-based soulcraft intensives, one-day and weekend introductory programs, yearlong immersions that meet for four sessions (one in each season), and advanced intensives on soulcentric dreamwork, shadow work, the cultivation of ecological identity, deep imagery journeys, and other topics. Animas founder Bill Plotkin and the other Animas guides have created and shaped over 40 contemporary practices that assist people of Western cultures in their quests for more meaningful, fulfilling, and culturally engaged lives aligned with nature, soul, and the Great Turning. Animas also serves as a training institute. Our Soulcraft Apprenticeship and Initiation Program (SAIP) is an advanced training curriculum designed for those who have been called by Mystery to serve as nature-based underworld guides. 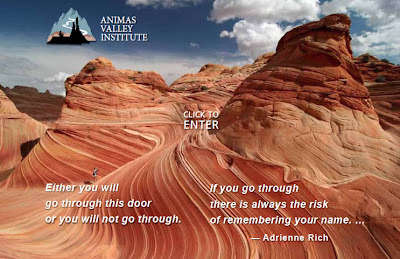 For more information, see the Training Programs sub-menu under the Animas Programs tab of this website. 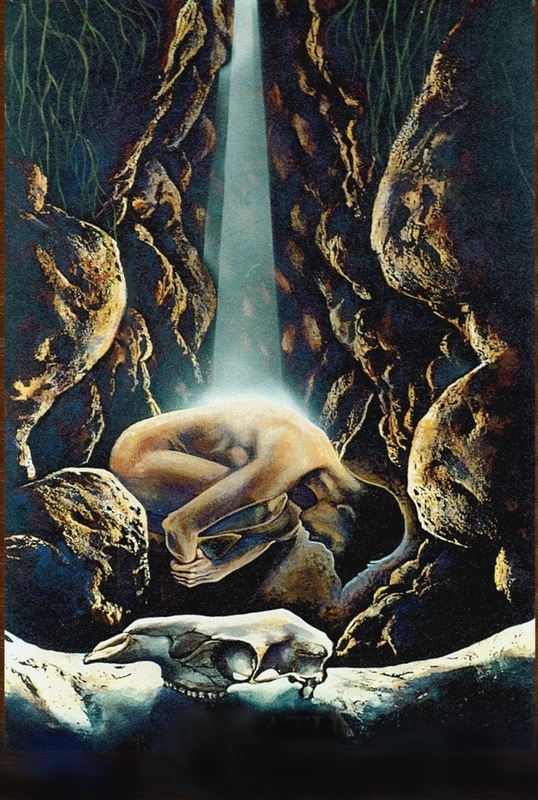 Bill Plotkin’s first book, Soulcraft: Crossing into the Mysteries of Nature and Psyche, provides a thorough overview of the practices utilized in Animas programs and of the mystical descent into the underworld of soul. Bill's second book, Nature and the Human Soul: Cultivating Wholeness and Community in a Fragmented World, introduces a nature-based map of the eight stages of a soulcentric and ecocentric human life cycle. Twenty years in the making, this visionary ecopsychology of human development reveals how fully and creatively we can mature when soul and wild nature guide us. 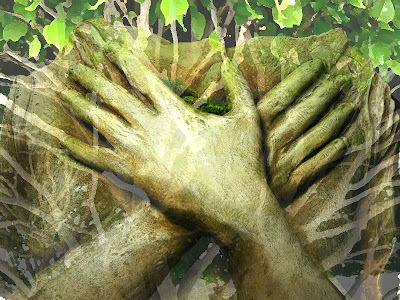 Nature and the Human Soul presents a model for a human life span rooted in the cycles and qualities of the natural world, a blueprint for individual development that ultimately yields a strategy for cultural transformation. Learn more at www.natureandthehumansoul.com. and it shall teach thee"
I was not surprised that Avatar lost in the Oscars to a film about war. I don't give a damn that it was ironically made by a woman.........."The Hurt Locker", regardless of how well made, is yet another example of patriarchal war mythos. 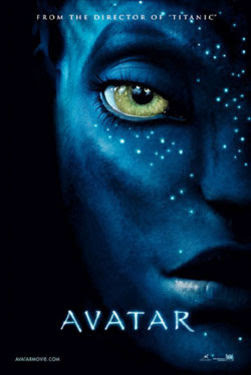 Cameron's Avatar was the revolutionary film, with it's Gaian message. I find it encouraging that, regardless, Avatar is the most successful movie ever made! Perhaps the message is beginning to reach critical mass. I graduated from AISK (the American International School of Kabul), and lived in Afghanistan as a teenager. I was amazed to find recently a website for AISK, to learn that there have actually been school reunions (although, understandably, not so many in Kabul). Some of my fondest, and familiar, memories include the jingling of camel bells on camels, the smells of stalls baking nan, flat bread, the harsh mountains of the Hindu Kush, women washing clothes beside the river, a world without TVs. My first job was with the peace corps office there, sorting letters for the volunteers, and I suppose I always pictured myself becoming one of them. So. It helps me to remember some extraordinary people, lest I surrender my own dreams of travel and service too soon. I remember here, with gratitude and admiration, a few people who have accomplished wonderful things at 60 and beyond. Among them, amazing Marc Gold and his 100 Friends Project (who I met in Tucson in 2008). And Dana Dakin and Women's Trust of Ghana, who I met at a workshop the same year I gave at Kripalu. Murial in Morocco (who is a Peace Corps volunteer at 85) is a blog I follow. And last, Olga Murrey, founder of the Nepalese Youth Opportunity Foundation (which she established after her 60th birthday). It's my pleasure to share her work (and words) below. We have only 12 hours of electricity a day (and most of that in the middle of the night), the streets are strewn with festering garbage because of a strike by government workers, and today was the umpteenth day of “bandh” – i.e., a strike by one political party or another – everyone has lost track of who is striking for what. During bandhs, all the roads are closed to vehicular traffic except for bicycles and rickshaws. The silver lining in all this is that bicycle rickshaw drivers are among the most downtrodden, lowly, poverty-stricken, bottom of the barrel citizens of Nepal, and when taxis are not allowed to ply the roads, they are able to charge a decent sum for their back-breaking services. The best – the very best – times for me here in Nepal are when I watch how our children respond to a newcomer among them. It is never necessary to ask an older boy or girl to help a younger one – they rush to help and comfort almost without thinking. I just returned from J House a little while ago, and he ran to me immediately showing me the numbers and alphabet he was writing with the help of the teacher we have hired to give him a boost when he starts Montessori school in April. She says he is an apt learner and will be a good student. So, welcome, Manoj, to a new life and a new family. I’ll write again soon and let you know about our trip with the children from J and K House to a wildlife park in the jungle.